For information about upcoming weekly and monthly meetings, please check the ALE Meetup Group Calendar. 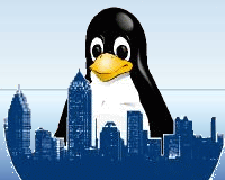 We do not, and never will, require anyone to sign up with Meetup (or any other service) to attend any of our meetings; we only use it as an additional platform to connect with others in the local Atlanta area who are also interested in Linux. 1/18/2019: The ALE mailing list is now back up after having been down the past few days due to a server issue. Unfortunately, the subscriber’s database was reverted to an older version from 2017, so please check and confirm that your subscription status and settings are what you think they are. You can do so from here: https://mail.ale.org/mailman/listinfo/ale. This month, we have a presentation on Linux Tools by Al Snow: “Upping Your Game With My Linux Tool Tricks”. Based on its reception at November’s DC770 meeting, it is expected to exceed our normal hour-and-a-half. SunOS, Solaris, HPUX, Mac OSX) and Linux (Ubuntu, Debian/Kali). together and learn more about 12+ different Linux software tools. What one-line command do you use to create a word list from a text file? Graciously hosted by the Decatur Makers (https://www.meetup.com/Decatur-Makers/) on West Ponce de Leon. What: Free Installation Help. Volunteers requested. ALE NW Weekly Linux sessions are moving in January 2018 to Schlotzsky’s near Windy Hill and Powers Ferry. Specifically, 3000 Windy Hill Rd., Ste.A-10, Marietta, GA 30067. Same day and time, Sundays from 3pm-6pm. The next ALE NW meeting will be January 7th 2018. The Schlotzsky’s manager has graciously agreed to provide per-arranged table setup, good wifi, plenty of power and food discounts. I’m excited about our new venue and a new host that welcomes our business. I hope you will join us in the New Year at our New Meetup location with New menu choices and New insights into Linux. Schlotzsky’s on Windy Hill, Sundays 3pm-6pm. It seems the IP address block I got from Comcast has been a problem one that is listed in spamhous.